A scheme was launched yesterday to ensure a pipeline of talent for the energy and chemicals sector, one of Singapore's "backbone industries". The SkillsFuture Earn and Learn Programme for the sector will enable polytechnic graduates to earn an advanced diploma as well as a monthly wage. This will help "prevent leakages" in the industry, said Mr Erman Tan, president of the Singapore Human Resources Institute, referring to those who take up a polytechnic course or job in the sector only to realise it is not their cup of tea. 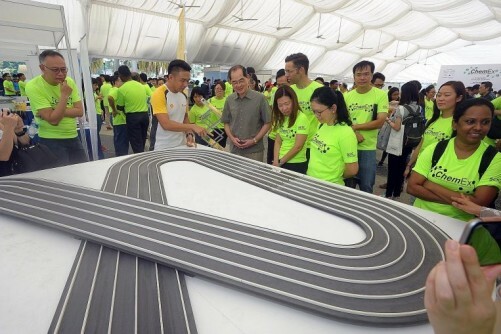 "The programme will provide early exposure to those who are interested in joining the industry," he said, adding that participants get a chance to see what the industry is like, while employers can get a feel of potential recruits and give feedback to the polytechnics. The latest earn and learn scheme adds to programmes in other sectors such as aerospace and food manufacturing. By the year end, there will be 40 of these programmes, the first of which started last year. Those who graduate from the 18-month energy and chemicals sector scheme will be exempted from selected modules if they later pursue a related degree at the National University of Singapore or the Singapore Institute of Technology-Newcastle University. 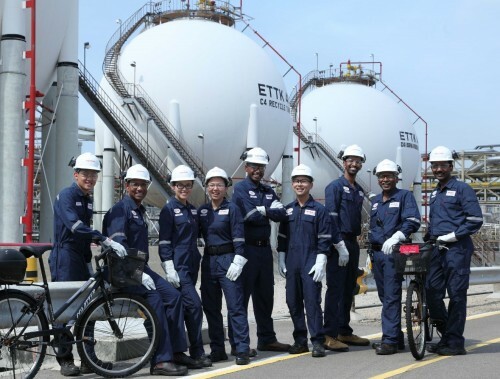 The new programme has signed up 26 participants already, including Ms Masyitah Hasunah, 20, a chemical engineering polytechnic graduate who is now a process technician with Shell Jurong Island. "I wanted to gain experience rather than continue my degree doing something I'm not sure about," she said. 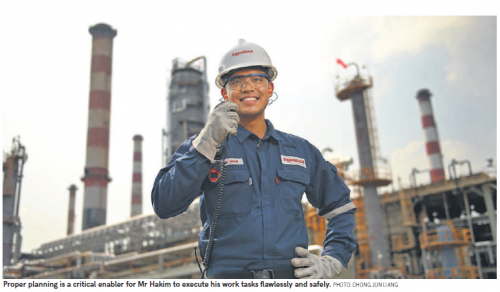 The energy and chemicals sector programme, which is led by Singapore Polytechnic (SP) and supported by the Workforce Development Agency, is open to those who have graduated from selected polytechnic courses. Applicants should not have graduated or finished their last day of national service for more than five years. Participants will attend lessons at SP, get trained on the job and be mentored by their employers. They will be paid a starting base salary of $1,400 to $2,000 a month with a shift allowance of $800 to $1,100. Those who graduate from the programme will receive an Advanced Diploma in Chemical Engineering awarded by SP. Acting Minister for Education (Higher Education and Skills) Ong Ye Kung, who launched the programme at Pulau Bukom yesterday, said it is important to have SkillsFuture initiatives in the energy and chemicals sector. "While we talk about disruption, technological advancement, all the current backbone industries continue to be extremely important," he said. Last year, output from the energy and chemicals sector accounted for nearly $282 billion or 29 per cent of Singapore's total manufacturing output. The sector has more than 40,000 employees and is poised to grow further.